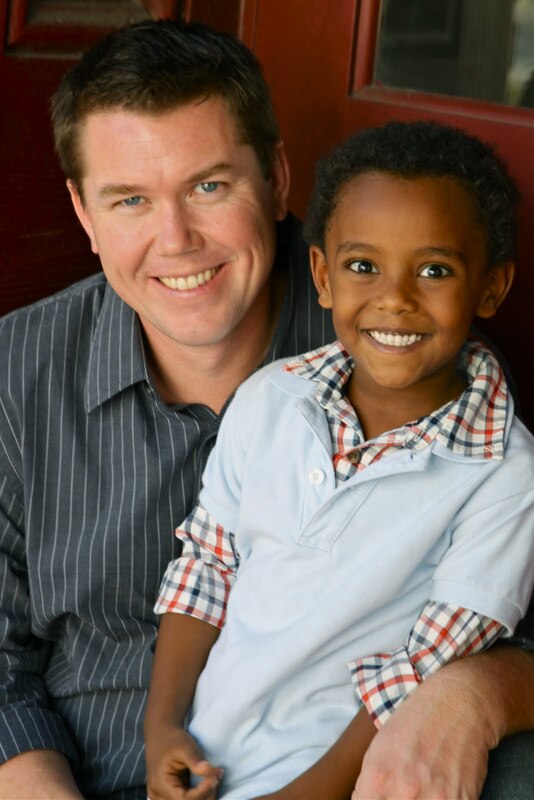 The Road Less Travelled: My Husband on Adoption. My wife asked me to write a post about adoption from a dad’s perspective. I don’t read many blogs let alone write them, but for her I will. responsible for, to educate, to train, to nurture. That would mean more food I would have to buy, more clothes that will need to be purchased, vacations will now be more expensive, and the list just goes on and on. It came down to pure selfishness and greed. While I was walking my job site one day, I was thinking about when Jesus confronted Peter after He was raised from the dead. Jesus asked, “Do you love me?” Peter said, “Yes!” “Then feed my sheep” Jesus replied. I started thinking that if Jesus asked me that how would I respond? What does it mean to feed my sheep? Combine that with the conversations Erica and I had been having about adoption; I was convicted. I was living in disobedience; I was hardening my heart to Gods call. In multiple places God commands us to take care of orphans and widows. Was I doing that? No, in fact I was doing the exact opposite. I was caring more about selfish desires then what God wanted. At that moment I repented and asked God to forgive me of those sins. It was then that I wrote an email to Erica telling her it was time to start the adoption process. Ten months later we were walking down the airport terminal in Phoenix as I carried a 3 year old boy in my arms. My son. As I reflected on the process while Silas was running around the terminal in one of the many airports we had layovers in, one of the things I remember most vividly is the feeling that I almost missed this. I would have missed the blessing of being a dad again. I would have missed being a father to this little boy simply because I would rather be able to buy that bigger TV or go to Disney five times a year. has no one than this that someone lay down his life for his friends. John 15:13. That is surrendering all that you have to Him, which will include my idol of self. On the surface I gave the appearance of Holiness, not realizing I was lying to myself and everybody else around me. God now has us on another journey, this one of faith. The first one was to break our hearts toward the plight of the orphan and convict us of our idol of self, this one has been a journey of faith. Total dependence. God is growing our faith in His power like only God can. God has faithfully provided all the funds for a second adoption. adoption is about, God doesn’t need us to adopt these kids. It is the height of all arrogance to think we are doing this because God can’t. God doesn’t call us to adopt just to help the children but it is to sanctify us. Do you really think you are the best parent in the world? I know I screw up all the time in raising my kids already. Yet the same way God has adopted us, we are now reflecting what God did for us on a physical level. He is redeeming us and at the same time he gets to use us to be the tool to redeem our children. We now get to love on, nurture, and raise these children the same way God does us. It doesn’t matter if it’s a biological or adopted child, God gave you both. was thinking just send money and that’s good enough. Let God use you. Step out in faith. Tear down your idol, whatever it might be. Stop living in fear and do violence on that idol. I want to say how thrilled I am that my sweet husband would take the time to give me his perspective on adoption in writing. I value his wisdom so much and am honored to be his wife. Wonderful post! And congratulations on your next journey! Great post! So true! I think some of us hesitate because one more child and all that one more will require of us! Selfish indeed! I hope you don't mind, but I would like to link this up on my blog. Safe travels!! Amen, brother! We should all stop and ask, "Am I my own 'American Idol'?" Praise be to the Father, the Creator of adoption!!! Go David! niiiiiice post and I shall re-post! Blessings to you both as you travel to your latest treasure! Excellent thought provoking post, thank you for sharing, David. Praying for a safe, smooth journey to and fro and a seamless process while you are in Ethiopia. Thanks for writing from a husbands perspective David! Our household sounds like it's travelling down a similar road from 'no way' to 'I just about missed this'. Thank you for your beautiful voice for the fatherless. Always enjoy seeing a dad's view of adoption. Hugs and Love and Safe travels to you both! Dave, you are a gifted writer and your heart for the Lord and His little ones in need is very evident thru this post. i'm going to have Luke read it, too, at some point. And Erica - great idea!! We love you guys & are praying for every step of this journey in bringing Zahra HOME!!! Thank you for being open and for your honesty. Your post was very encouraging :). My husband and I just started the process, and I am sending this to him to read. I think he felt the same as you did, but God worked in his heart and now he is as excited as me! Wow very powerful. I am going to place this on my blog, i hope that is ok. I will also include where it came from and who it is written by. very very powerful, spoke to my heart and I hope it speaks to my husband's. He reads my blog so I know he will see it. He has stopped our adoption for now. I am praying for God to break his heart for the orphan. Thank you for this blog! When I began my adoption journey as a single mom, the first comment by my pastor was that God would bless this endeavor, because He has commanded us to care for widows and orphans. God did bless us, and continues to do so! No surprise! The part my pastor didn't comment on was the promise that children are a blessing from the Lord. What a blessing this child has been to me, and to so many others!